Hendersonville is the official home of the 73rd Annual North Carolina Apple Festival, a four-day celebration in honor of the North Carolina Apple. The NC Apple Festival features a street fair on Historic Main Street including continuous live musical entertainment, arts & crafts, apple growers selling apple products, children’s & youth activities, special exhibits & open houses, food, and, to top it all off, on Labor Day, the King Apple Parade. Capture the spirit of a hometown celebration that has something for the whole family, with many individual events and entertainers throughout the festival. The festival is held annually, during the Labor Day weekend. 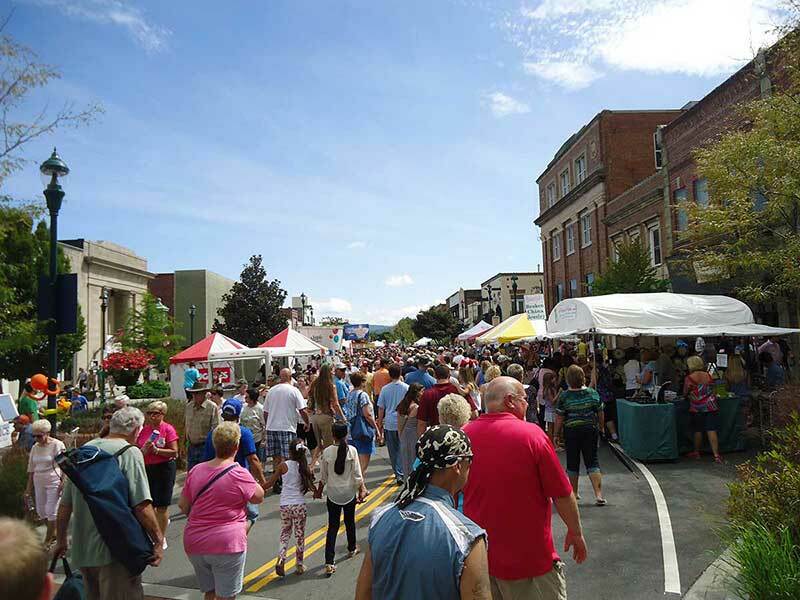 The Apple Festival’s Street Fair covers 9 blocks of Main Street with more than 150 vendors. Main Street is closed to traffic from 6th Avenue to Caswell Street. 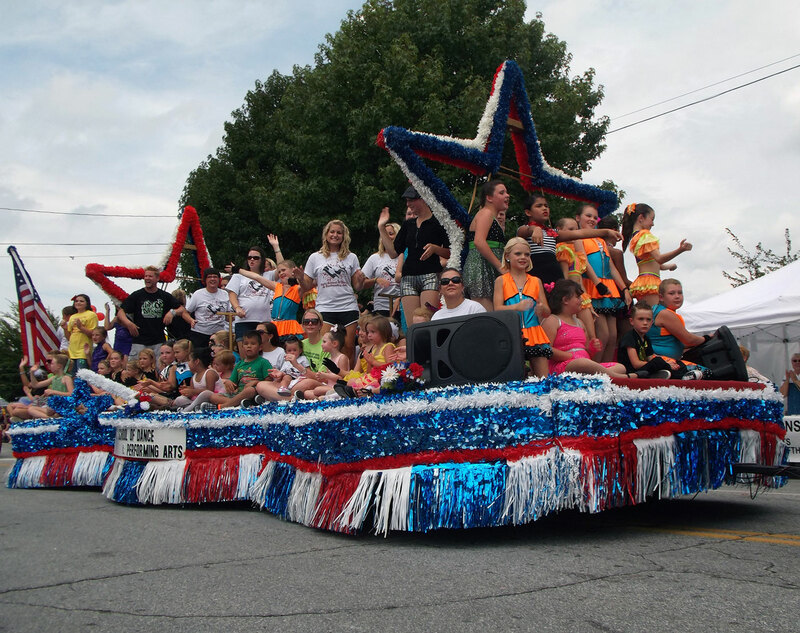 The highlight of Labor Day is King Apple Parade filled with floats, bands, clowns, antique cars, fire enginesand more traveling down Main Street from 5 Points to Caswell Street. Wheelchairs are available at the Visitors Center, 201 South Main Street, at no charge for a two-hour use during the festival on a first come, first serve basis. For directions and parking information visit the NC Apple Festival web site. North Carolina is the 7th largest apple-producing state in the nation and Henderson County is the largest apple-producing county in North Carolina. 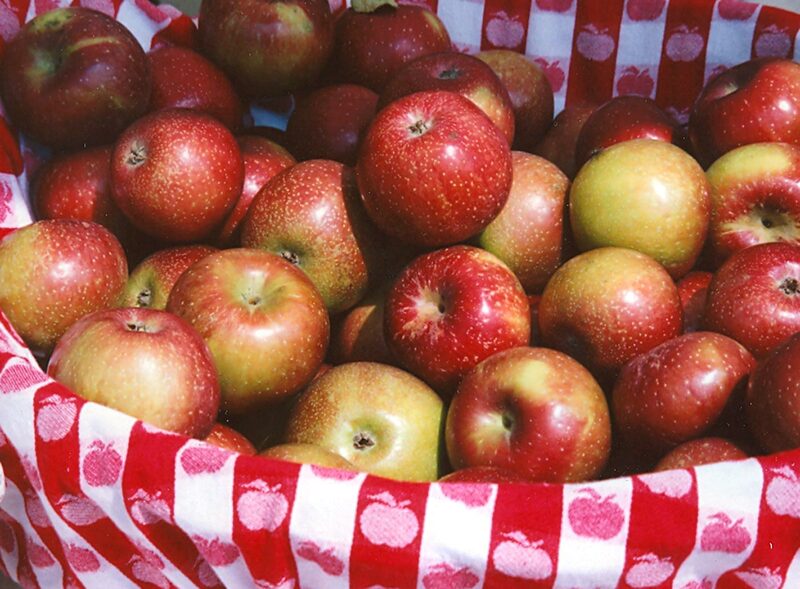 The most widely-grown apples are Red Delicious, Golden Delicious, Rome Beauty and Galas. In addition, many orchards grow a number of other varieties. Fresh apples may be purchased directly from the grower at one of the many roadside apple markets or produce stands located throughout the county. Download the Crest of the Blue Ridge Orchard Trail. Enjoy a self-guided driving to tour into the heart of scenic apple country. Click to download directions. For tickets, applications and further information write the NC Apple Festival Headquarters, P.O. Box 886, Hendersonville, NC 28793 or call (828) 697-4557. For times and locations of the events, check the North Carolina Apple Festival brochure or visit their web site at www.ncapplefestival.org. Click for lodging or area information or call the Henderson County Tourism Development Authority at (828) 693-9708 / 800-828-4244.